Most people see a deck as a summer-only space. With planning, though, you can create a vinyl deck that serves as a perfect outdoor living space the whole year round. And the vinyl decking and fencing experts at Future Outdoors can help you do just that. Here’s how. The first step to designing your perfect deck space is to think of the features you want and how the deck will be used throughout the year. Try to envision what you want in an outdoor space: Do you want an enclosure that will protect you from insects and sun? Are you planning on putting in a pool in the backyard (or do you have one already)? Will you be using the deck for entertaining guests, or just as an outdoor relaxation spot for you and your family? Coming up with answers to these questions will help you plan the features and overall look and feel of your vinyl deck. Today’s vinyl decks can be built with a variety of features built-in, including benches, fire pits, garden planters and more. This makes them extremely personalizable, but it also means you need to know what you want to get the most from your deck. Vinyl decking comes in huge variety of styles and colors. It can be used to simulate the look and feel of wooden decking, or you can get a more sleek and modern look with other types of vinyl. Either way, you’ll need to plan out what you want your deck to look like when its finished. Many people will use home and design magazines to help them find inspiration for their deck. These are a good resource for people who aren’t sure exactly what they want and need some ideas of what is possible. Take a look around for photographs of other vinyl decks, or search online to find more inspiration. To help with these stages, some people will also use 3D modeling tools like SketchUp to draw their own plans for what they want the deck to look like. These tools are pretty simple to learn and use if you give them a little time, and they can help you visualize what your deck will look like and how it will feel in your yard long before you break ground. After you have an idea of what you want you’ll have to find a vinyl deck supplier that can provide it. A good vinyl deck contractor will be transparent through their whole process and give you advice on what works well for your property, and they should also keep you involved through the process of building your vinyl deck. How long have they been in business? A company with a longer record and more experience will most likely provide better products than one that’s only been in the business for a few years. Where are they located? It’s always better to work with a local contractor, since you can meet with them first-hand and easily address any concerns. Even if the prices are better, it’s usually not worth it to contract with someone from further away just to save a few bucks. What’s their customer service like? When you call your vinyl deck provider, do they pick up the phone or just let it ring? Does someone return your calls quickly? Do you get the answers you need? If you feel like your chosen contractor doesn’t care for or appreciate your business, don’t work with them. Do they offer warranty service? Companies that trust their products will work with you to make sure you’re happy. If the contractor or the manufacturer doesn’t offer warranties, or the warranty is conspicuously short or restrictive, ask yourself why. Can they offer other products? Vinyl decks are great, but you might also want a fence, a shade structure, or other outdoor improvements at the same time. Make sure you work with a versatile contractor that can deliver on a variety of projects. Once you find a contractor that you’re happy with and can trust, all you have to do is sit back and wait for your perfect vinyl deck to take shape. It will only be a short time until you can enjoy your new outdoor living space all year long. 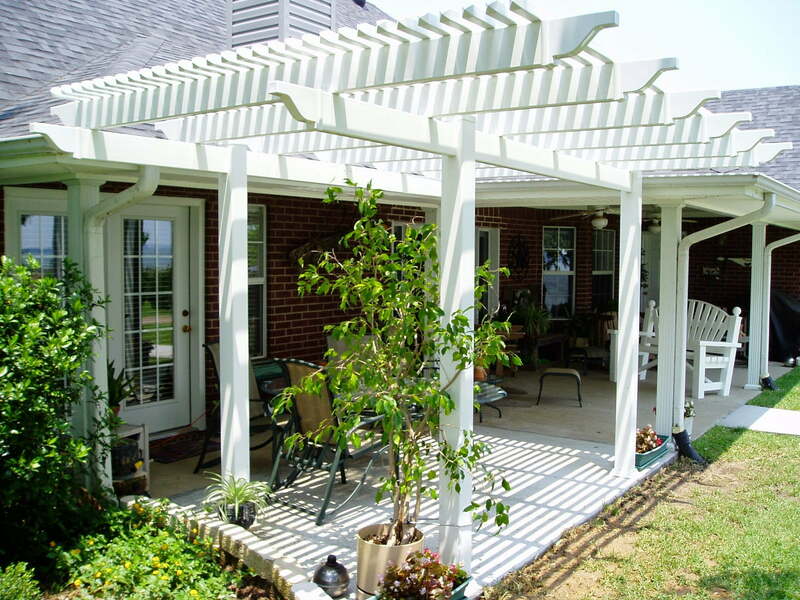 Future Outdoors® is an experienced and qualified vinyl fence and deck company in North Texas. We work with customers around the Dallas-Fort Worth metro to bring quality vinyl fencing, vinyl decking, and vinyl shade structures to their homes. Contact us today to get a free no-obligation quote on your fence or deck project. You can also follow us on Facebook or Twitter to get news and updates on our services.